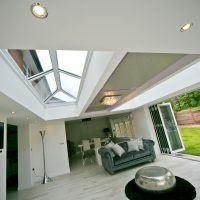 We install Lantern Roof Orangeries across Stevenage, Hertfordshire, Welwyn, Cambridge, Radlett, Waltham Cross and surrounding areas. The Lantern Orangery is the ideal way for you to bring a harmony between the amount of natural light entering your home and the amount of privacy that you have. 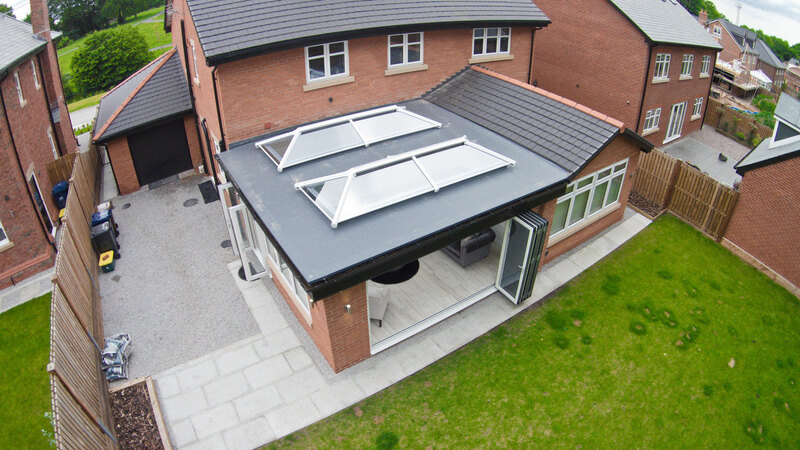 This modern twist on the original orangery design enables you to bring something unique to your home. 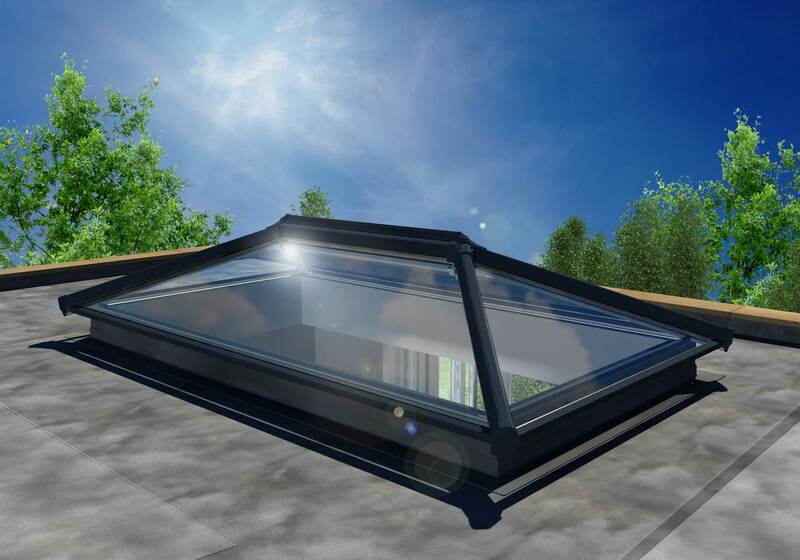 The integrated lantern roof allows you to bring a beautiful focal point to your home, concentrating natural light allowance on a focused point. This means that you’ll be able to draw attention to a gathering point, whether it is over a dining table or kitchen island. 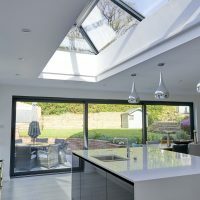 We know that feeling comfortable in your home is important, which is why all of our Lantern Orangeries are manufactured using industry-leading techniques and premium grade materials. With this, you’ll be able to enjoy an unrivalled degree of performance throughout. 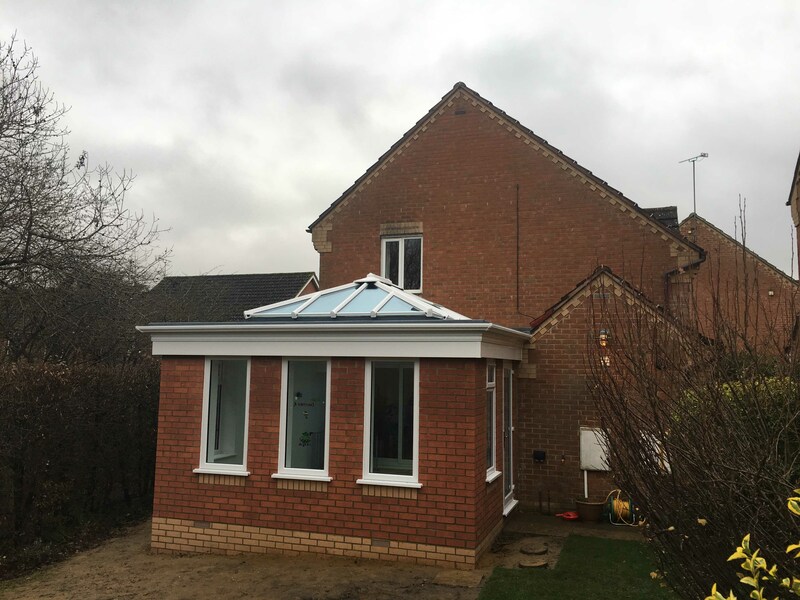 The Lantern Orangeries that we offer are structurally designed to your post-code, allowing you to enjoy a tailored standard of structural integrity when it comes to the wind and snow loads in your area. Whatever the weather, you’ll be completely safe and comfortable. Super insulated columns are an innovative, modern design that achieves a standard of thermal efficiency that is five times more effective than a brick pier of the same size. They draw their look from the Italian Renaissance, allowing you to bring a classic feel to your home that offers the best in modern performance and design. We know that homes can vary in size and style, which is why we strive to offer you heightened choice for customisation. You’ll be able to opt for more lighting options, or speaker number and placement to ensure you can bring the right feel to your new living space. Whatever you need, a member of our team will be on hand to help. The decorative cornice is the ideal solution for bringing a neat and modern finish to the outside of you home, available in a one, two or three tier option to ensure you get the right fit. 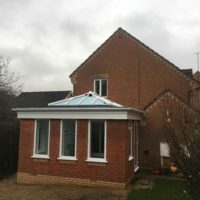 It can also be fitted in a choice of colours, which means you’ll be able to bring a cornice that looks perfect for the style of home that you have the orangery colour that you choose. All of our Lantern Orangeries combine high performance glazing and a highly thermally efficient design to ensure you remain comfortable throughout the colder months. With this design in tow, you could also find yourself enjoying reduced heating bills as you rely less on your heating to keep yourself comfortable all throughout the year. 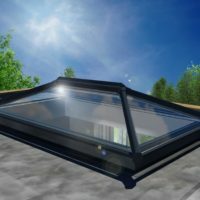 To make sure you get maximum natural light allowance and performance, the Ultrasky roof lantern stands as the UK’s strongest glazed roof. 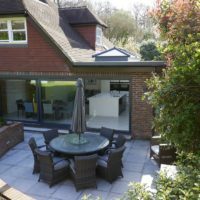 This is made possible through a strong, thermally insulated ridge that helps to minimise the number of glazing bars without compromising structural integrity. It’s never been easier to bring a sleek and stylish look to your home. 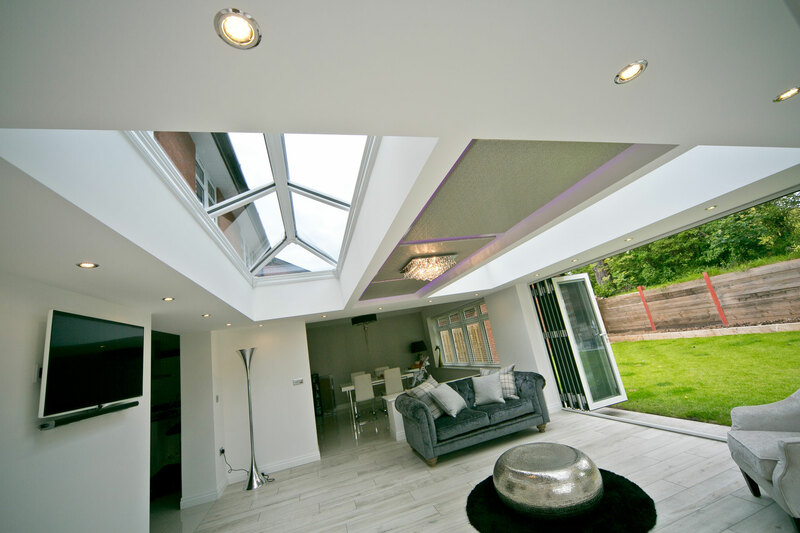 Allowing you to capture the perfect look for your property, our Lantern Orangeries are available in White, Grey or Black. 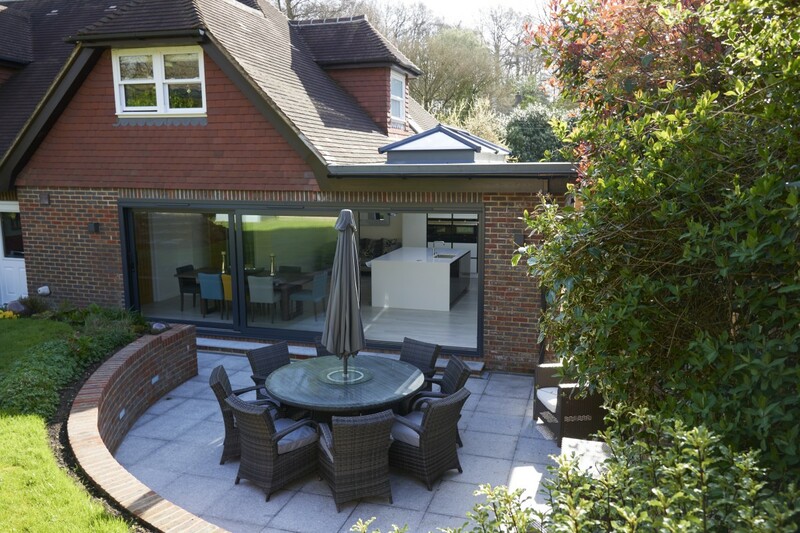 These contemporary colours are chosen to enhance the modern flair of the Lantern Orangery, all of which are applied with a highly durable powder coating to ensure they don’t flake, peel, fade or discolour over time. 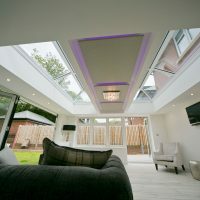 All of the Lantern Orangeries that we offer are designed to operate in full compliance with all, current, building regulation and planning permission requirements. We’ll be able to reduce overall installation time, and therefore the disruption to your daily life, with this practical and high-performance design. You won’t have to settle for less. 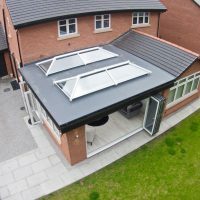 We offer a comprehensive 10-year guarantee across all of our Lantern Orangeries, which means that you’ll be able to enjoy the peace of mind that comes with full coverage. Although highly unlikely, we’ll be on hand to ensure any problems you may have are sorted as quickly as possible. We make sure that you can bring lasting quality to your home. 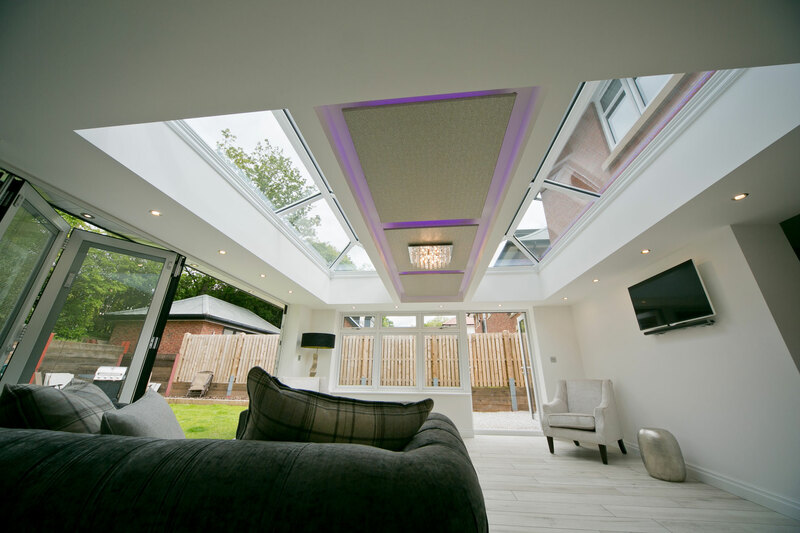 Whether you require just the one roof lantern, or multiple lanterns spread across the roof, we’ll be able to accommodate. 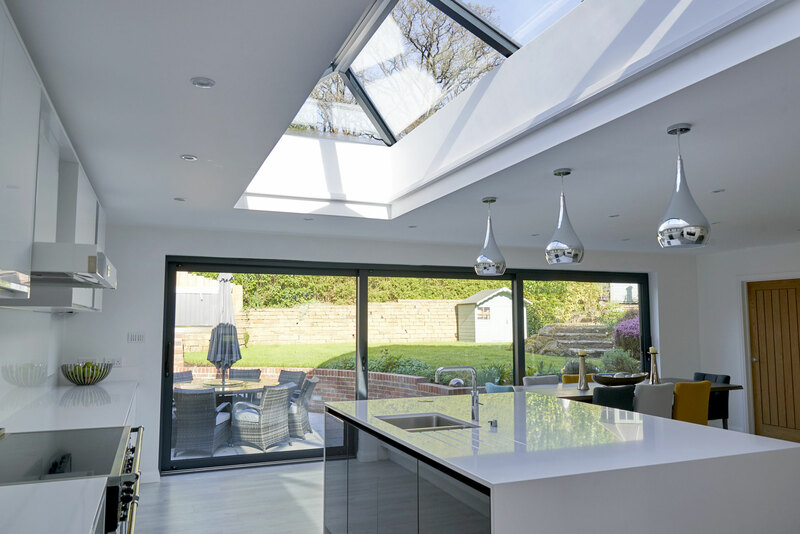 Based on your orangery layout, you’ll be able to choose the location of the roof lanterns to ensure you light up the parts of your home that is most important to you. You are sure to get the perfect fit for your home. Visit our online quoting engine to get a free, instant and highly competitive Lantern Orangery price that has been tailored to your specifications. You can also get in touch with us via our online contact form should you have any questions, or would prefer to get a quote this way.